Saber Grills and LP regulators are being recalled for possible fire and burn hazards. 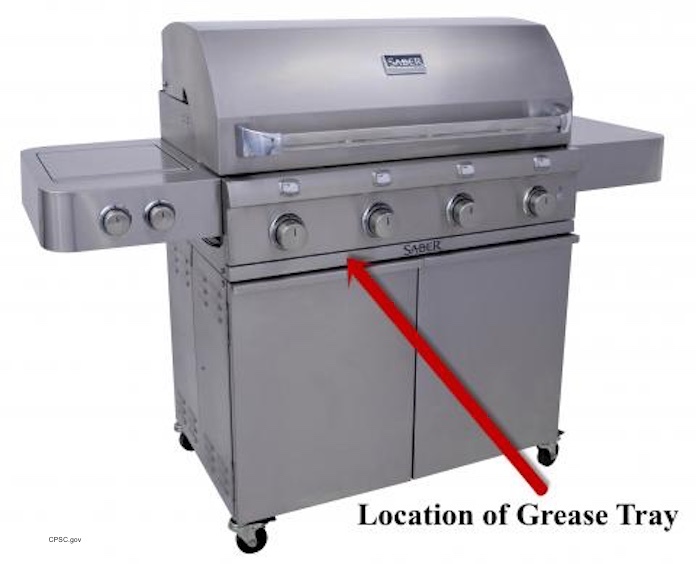 The grill’s LP regulator can allow gas to flow at a higher pressure than intended, which can result in a gas leak and flame burst from the burner knobs, posing fire and burn hazards to consumers. Saber Grills has received 35 reports of regulators malfunctioning, including three reports of singed arms and two reports of burned or singed hair. You can see the long list of recalled grills along with the m model number and description at the Consumer Products Safety Commission website. The grills were sold at specialty outdoor living stores nationwide, including Family Leisure, Fortunoff Backyard Store, and Watson’s, and through authorized websites and catalogs including Bed, Bath & Beyond and Frontgate, from September 2011 to May 2017 for between $800 and $2,000. The units were manufactured in China. About 18,800 grills were sold in the U.S., and 7,700 were sold in Canada. If you bought this grill, stop using it immediately. Contact Saber for a free repair kit with installation instructions.